Let me introduce myself. I’m Angie. 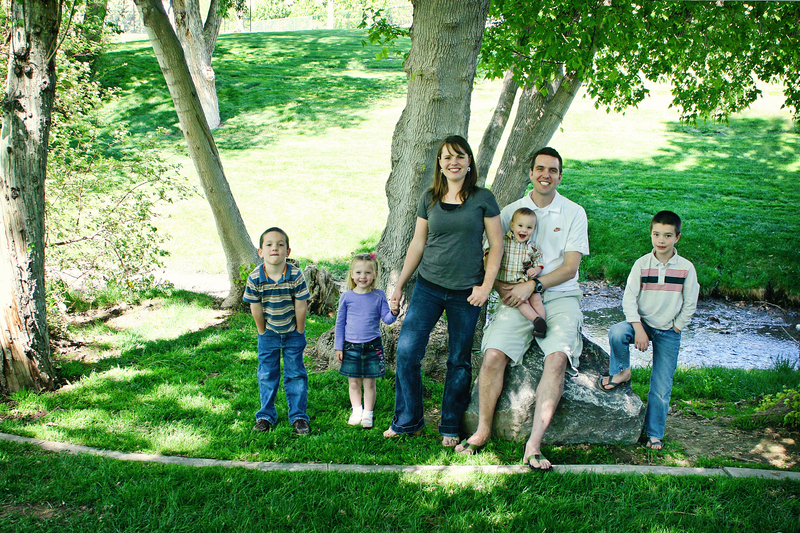 I created this website as a way to bring Prescott area homeschoolers together in an online forum. In the last few years, I’ve come in contact with many homeschooling parents who want to be a part of a local homeschooling community. As I waited for “someone else” to build it, I realized that the “someone” could just as well be me. However, I would love to build a team of homeschooling parents to post to and manage this blog. If you’re interested in joining the team, comment below or shoot me an email (prescotthshub@gmail.com). We moved here 3 years ago after we had fallen in love with the Prescott area after visiting my SIL and her family a handful of times. My husband, aka Dr. Rob, is the owner and orthodontist at Patterson Orthodontics. I have 4 kids ranging from 8 to 1 1/2, and I decided a couple of years ago to really homeschool. My SIL that lives here has always homeschooled her children. Per her example and a great one-week homeschool experience in high school, my husband planted the idea that we could homeschool our children. I resisted. I flopped back and forth. I studied many books and websites on educational philosophies and homeschool systems (I still do). How could I do it? What would I teach them? How would I do it? When would I find time for myself? What about class plays, school choirs, band, orchestra, school sports? On the flip side, what about the wrong kind of peer pressure? What about watered down textbooks? What about the inability to customize education to a child’s needs/speed of learning/style of learning due to class sizes and mandated topics of instruction (aka common core)? What about teaching history without God and teaching life skills without morals? What about the 1+ to 2+ hours I would spend in the car each day to take my kids to my favorite charter school and back (because I figured I would have a Kindergartener every other year for awhile) and the limitations on family vacation time? This may sound silly, but it was that last question that really tipped me onto the side of homeschooling. I just love having more flexibility and freedom with my schedule. Since then, I have only added a dozen other reasons why I’m glad I homeschool. Now that I’ve introduced myself, I would like to get to know you better. Especially why you chose to homeschool. You can either share right here in a comment or share with me at one of the activities you might see us attend. If you are new to homeschooling and just want to talk about things, I would be happy to talk with you. Please email me (prescotthshub@gmail.com) your name and phone number and I’ll call you.